It’s standard fare to take mom out to a restaurant for brunch on Mother’s Day, but who needs the crowds when there are so many other ways to celebrate the woman who feeds the kids, gets them to bed and shuttles everyone around for a good 18 years. It’s time to turn the tables and give mom the pampering and relaxation she deserves. Here are a few fab gift ideas that offer convenience, energy and a minute or two of much needed me-time to the supermom in your life. Get the Chore Chart Going: Create a new chore chart that the kids can (at least attempt to) stick to. Include line items that the kids are naturally supposed to do like clean their rooms, set the table and feed the dog, and then add a few “extra helpings” like folding laundry, taking out the garbage and doing the dishes. Even if this only lasts a month, all the spa time in the world can’t beat this! Stock the Snack Shelf: How many times a month does mom hear the kids say, “Mom, I’m hungry and there’s nothing good to eat.”? (Translation: I want a snack and I’m bored of the things you’ve been buying.) 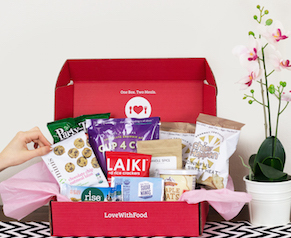 Save mom the trouble of stocking up and finding new, interesting and junk-free snacks regularly by purchasing a Love With Food subscription snack box. The deluxe size introduces the family to a bunch of new munchies each month. 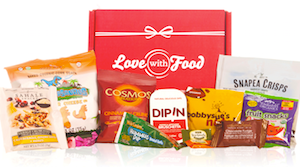 Easy online ordering means you can stock up on favorites before the next box arrives. Send Her On-the-Go With Energy: Following mom’s schedule from work to carpool to the gym and then off to the grocery store, you know that she rarely finds time for a sit-down meal. But that doesn’t seem to stop her. Stuff that new workout bag, tote or purse that mom’s been eyeing with Chocolate Banana Mini Snack Bars by 2-degrees. While she’ll appreciate that you’re in tune with her wants, she’ll love that you understand her needs. Give Her a Pass: Mom doesn’t schedule your time around hers. No way! It’s the other way around. And that’s why workouts sometimes get squeezed out of the mix. You can change that by giving mom the ultimate workout window with a ClassPass. For one price, she’ll be able to take a exercise classes at studios all over your area without committing to gym classes she rarely has time to attend. Workouts around the clock…now that’s the kind of selection she could use. Create A Weeklong Lunch Break: Stock up on the family’s favorite foods and set the alarm early this week. Let mom have an extra few minutes in bed, while you prepare the lunch bags for her and the kids every day. (And don’t forget the healthy snacks!) This experiential gift doesn’t seem like enough? Gift her a “lunch break gift certificate” inside a cute thermal tote so that she’s all set for work in style. Take Miracle Tea Time To Heart: Remind mom to give herself a little time to recharge. Whether it’s morning, afternoon or just before bed, a selection of Moringa tea is just the thing. Full of antioxidants and nutrients that are said to do have benefits included increasing energy levels, improving mood and creating healthier looking skin, who would pass this up? Personalize the gift with a tea pot or mug that’s just right for her. Any other ideas for mom? Share them with us in the comments below.